It would be an understatement to say that GTA V is not only one of the best games in the series to date, but also a big success by any measure, as Rockstar’s game has sold a stunning 60 million copies to date and is still going strong. But when Rockstar added online multiplayer to GTA V back in 2014, perhaps the American company was not expecting GTA Online to become the massive success it currently is. Actually, GTA Online has made Rockstar a staggering $500 million (£342 million) to date, with that money coming from in-game microtransactions. And even if some gamers dislike the microtransaction model, it is clear that mobile video games like Game of War, which are free to play but feature microtransactions, are some of the most successful on the market. In GTA Online, for instance, players can buy in-game cash using real money, and then spend this money on items like a luxury yatch similar to the one crime lord Cortez enjoyed partying on in the great GTA: Vice City game. GTA Online continues to grow and appears to be Rockstar’s main focus at this time, with the studio having released an expansion for the game in December last year. 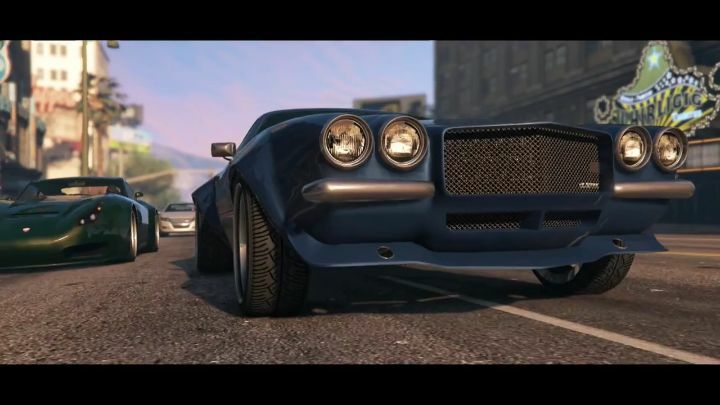 And given the success of this online multiplayer GTA game, it is likely that more content for it is in the pipeline. It is clear though, given the millions pouring in from GTA Online, that Rockstar is less likely to churn out single player DLC for GTA V anytime soon. This makes sense up to a point: why bother writing a script, recording dialog and planning single player missions when GTA Online is such a cash cow? This means it is likely we’ll see great single player expansions like GTA IV. That game had two superb expansions, The Ballad of Gay Tony, which had plenty of hilarious and entertaining situations, and the biker-themed The Lost and the Damned which is one of the best DLC made for a game to date. Obviously a single player expansion for GTA V would sell well, and given how rich the setting and story of GTA V are, Rockstar could surely come up with plenty of great and original stories for a single player expansion, although that’s not likely to happen given the success of GTA Online, and the fact that the American studio is now at work on GTA 6. And it remains to be seen what effect GTA Online’s unexpected success has on GTA 6’s development, as it is clear that online will become a key part of future GTA games from now on. Will the game’s single player story and missions become secondary to the online multiplayer side of things, like is the case with the Call of Duty games? This could very well happen, and while some may dislike this shift to online multiplayer, it’s always a good thing for a video game company to listen to what gamers want. And GTA Online’s wild success means there’s no doubt GTA 6 will surely feature some form of online multiplayer. But as long as that game still delivers an engaging crime story set in one of Rockstar’s fantastic fictional metropolises, then both fans of online play and single player will surely be happy in the end.